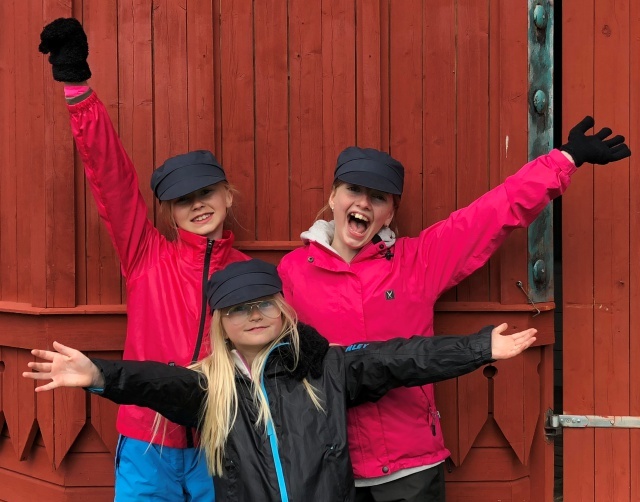 Bring your family for an unforgettable adventure to the old historic and cultural mining village Fröå Gruva at the backside of Mt Åreskutan. 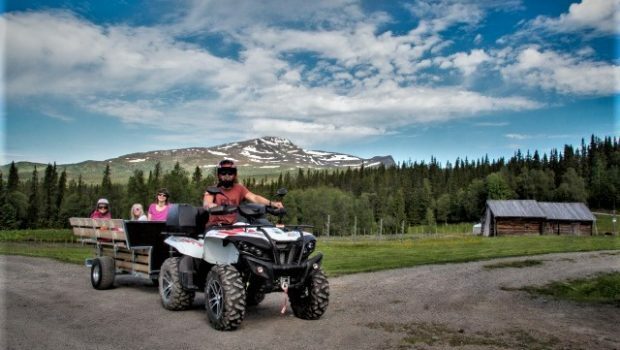 This “Family Adventure” is tailor made to fit the needs for whole family, where one adult in the family will drive a quad and the other family members sit either at the “passenger seat behind the driver” or in the comfortable wagon that will be pulled behind the quad (max 5 pax in total per quad/wagon). 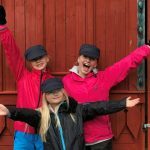 When we arrive at Fröå Gruva we walk by foot on a guided tour for about one kilometer in the mining area and follow “Gruv Emil” on the first day at work in the mine. Of course, we will stop for a traditional Swedish “fika” adapted to the kids. 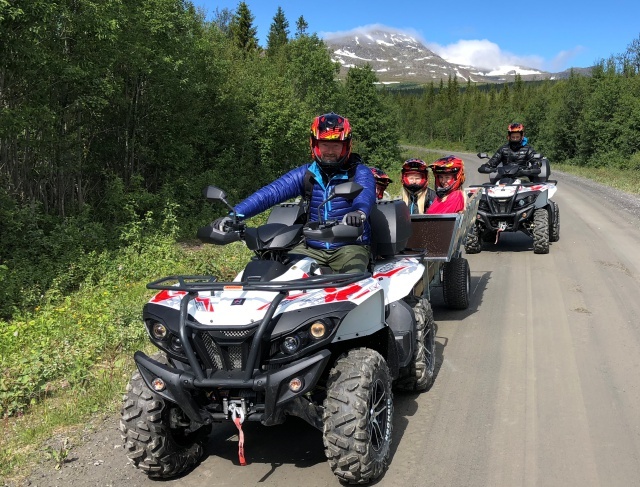 Driving a quad is very easy and safe and our guides always explain all the instructions carefully before we leave. Helmets are included to the ones who sit on the Quad. All you need to drive yourself is a valid driving licens for a car. The guided tour in the Fröå Gruva Area is about 1 km long with a few stops. 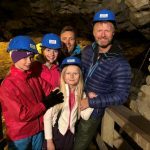 Who is Fröå Gruva Family Adventure for? 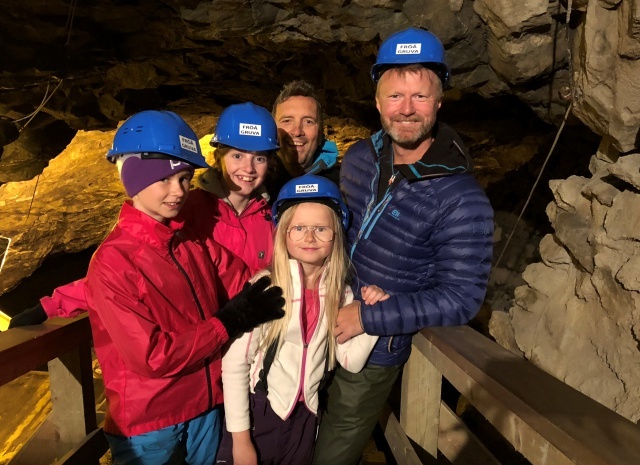 Fröå Gruva Family Adventure is an easy accessible adventure for families who like to experience the historic mining village, do something together as a family and drive these cool machines and enjoy a Swedish “fika”. We start at Carins Krog in Åre Björnen. Approx 2 hours plus time for changing clothes. The driver of the quad must have a valid driving license for a car and the one sitting behind (passenger) must be large enough to hold himself around the waist of the driver. For passengers in the wagon there is no limits or restrictions. Driving licence for the one who drive and clothes adapted to the weather. (Adults can borrow water-resistent clothes and the kids can borrow hearing protection). Not included to Åre Björnen. 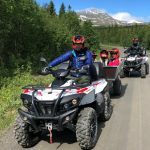 (From Åre Björnen to Fröå Gruva we drive quads). The quads are insured and during the tour the driver is responsible for his own quad. In case of an accident caused by the driver there is a deductible of 10000 Sek. 1990 Sek per family of max 5 passengers (2 adult and 3 kids under 12 years). (Price valid when booking through the website). For companies and groups we also have other concepts with even higher flexibility. Contact us for a quote and suggestions for set up.